Journey to the forest moon of Endor where the battle between the Empire and the Rebel Alliance is in full force. 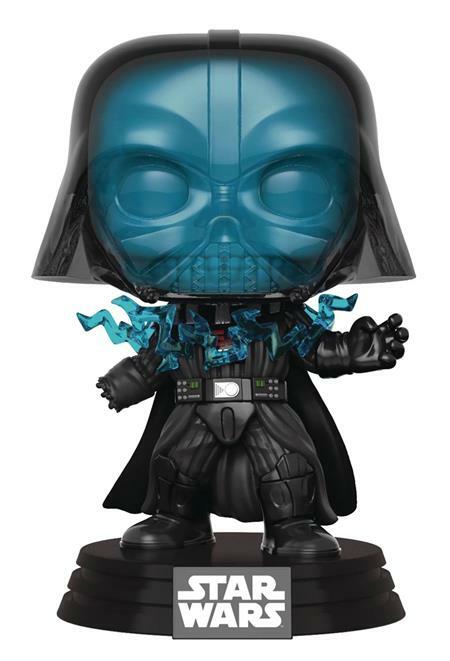 Based on the final film in the original trilogy, Return of the Jedi, these POP! figures bring your favorite Star Wars characters to life with a unique stylized design. Each vinyl figure stands 3 3/4' tall and comes in window box packaging, making them great for display! Choose from Darth Vader, Emperor Palpatine, Lando Calrissian, Han Solo, Princess Leia, and Wicket the Ewok.